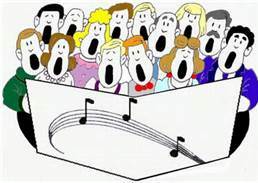 The Adult Choir rehearses each Wednesday night at 7:30 p.m. We have vacant seats and a place for you! We have lots of new songs in store and practice is very important. Please make this a priority as a way to serve your church and our God. You hear and soul will be truly blessed. TMBC is continually looking for special singers. The Sanctuary Choir at Thomas Memorial leads in worship every Sunday at the 11:00 a.m. service. The variety of traditional and contemporary music sung by the choir is designed to address the varied musical interests of all church members. The choir meets weekly at 7:30 p.m. on Wednesday for a time of practice and fellowship. The Sanctuary Choir does not meet for rehearsal during the summer months. The Sanctuary Choir maintains an open enrollment policy. New members are welcome at any time (high school juniors through adulthood).